“The height is that now the Governor is making political statements and trying to lure people towards a particular political party. Such actions will lead the state towards anarchy,” Madni said. 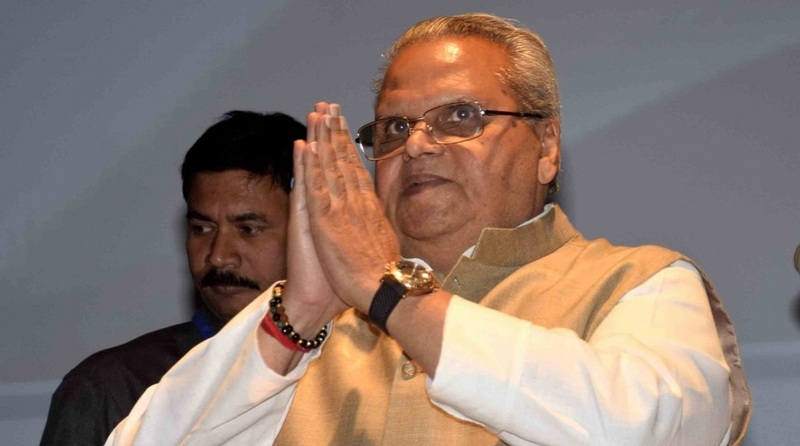 Governor Satya Pal Malik has stirred a controversy by making certain political remarks against former chief minister Mehbooba Mufti and her party the PDP, which he said was “breaking up” and her (Mehbooba’s) statements should not be taken seriously. Almost all anti-BJP parties, including the National Conference (NC), PDP, and the Congress have reacted sharply to Malik’s remarks that he made on Wednesday while talking to reporters on the sidelines of a function here. The Governor’s remarks had come in reply to the questions of reporters regarding Mehbooba accusing the Army of “ruthlessly” beating a civilian who was reportedly being questioned in the case pertaining to the killing of an Army soldier Aurangzeb by terrorists while he was going to his home to celebrate Eid with his parents. She had sought an enquiry into the incident. Malik told reporters that nobody should take Mehbooba’s statements seriously as her party PDP was breaking up and she was trying to save the party by commenting against the forces and India’s political system. Her statements will not affect the morale of the security forces, he said. The J&K Congress chief, GA Mir, has also criticised Malik for “indulging in politics”. Senior leader of the PDP, Mohammad Sartaj Madani, has expressed serious concern over the remarks made by Malik and said it was worrisome that the highest institution of the state is now becoming a “mere joke”. In a statement on Thursday, Madni said, “It is regrettable that since the day Governor Malik assumed office in the state, he goes to every channel and every newspaper and apparently without verifying facts, makes general comments. Governor’s post is constitutional and has its own dignity and it is expected from a governor that he or she performs impartially without fear and favour. However, what we are seeing in Jammu and Kashmir for the past few months is a clear bias shown by the Raj Bhavan. Madni added that it has been the prime agenda of the PDP that the muscular approach will not take the state anywhere as this has been tried for many decades and hasn’t yielded any positive outcome.